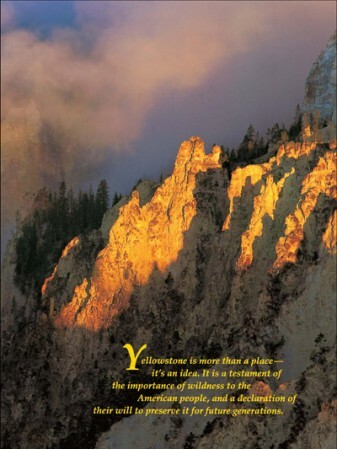 Yellowstone is a place that captivated a continent, and a concept that inspired the world. 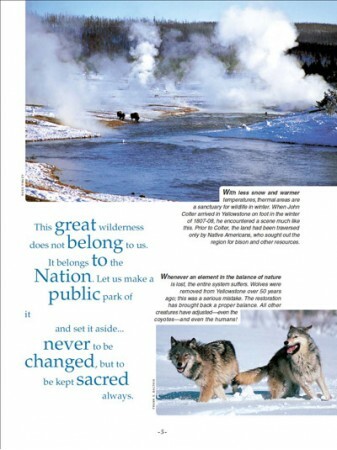 It is here that the National Park idea was born. 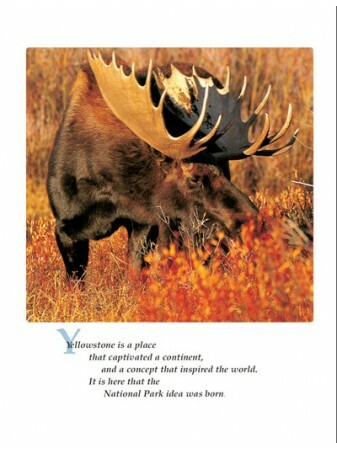 It is more than a place--it's an idea. It is a testament of the importance of wildness to the American people, and a declaration of their will to preserve it for future generations. 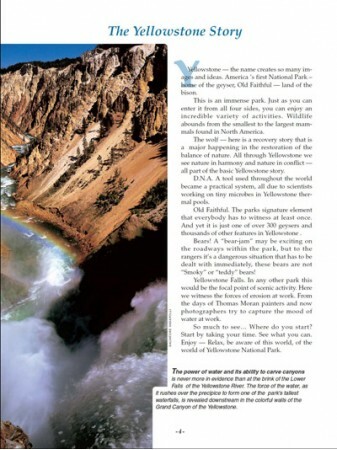 As shown in The Story Behind the Scenery's masterful photography, there are few more impressive manifestations of the power and mystery of the earth than Yellowstone. Here, the hidden fires within the earth have expressed themselves through the ages to celebrate some of the most diverse and dramatic landscapes ever assembled in any one place. 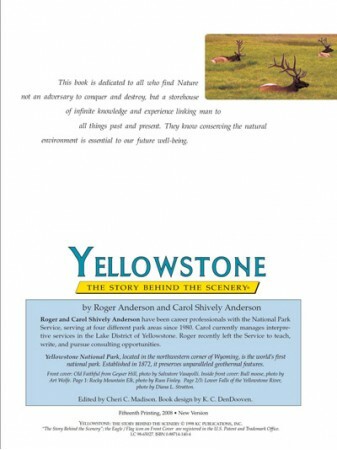 Authors National Park Service career professionals Roger and Carol Shively Anderson bring their years of interpretive experience at Yellowstone to chronicle the many faces of the park, its nuances and extremes in this beautiful, lavishly illustrated book. 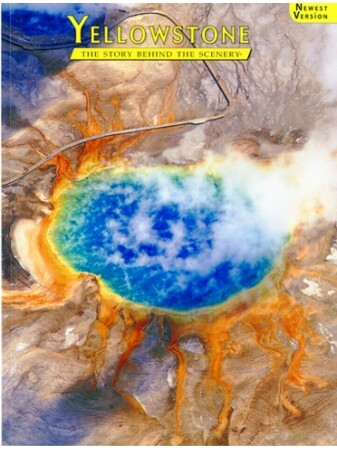 Whether it be in the great geyser basins of Old Faithful or Norris, the Grand Canyon, Mammoth Hot Springs, the glacial valley of Lamar, or the expansive Yellowstone Lake, bounded by the ancient Absaroka range--in all, the internal forces of the earth reach the surface to reveal another page in yet another chapter in the amazing geologic story that is Yellowstone National Park. 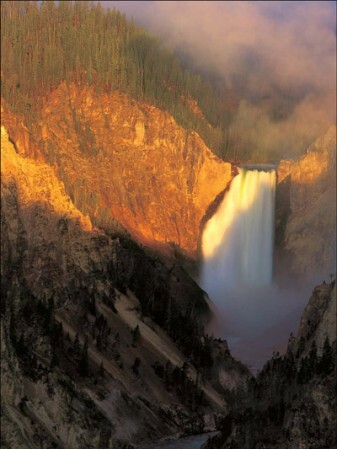 Lying mainly in Wyoming, Yellowstone's expanse also spills into the states of Idaho and Montana. 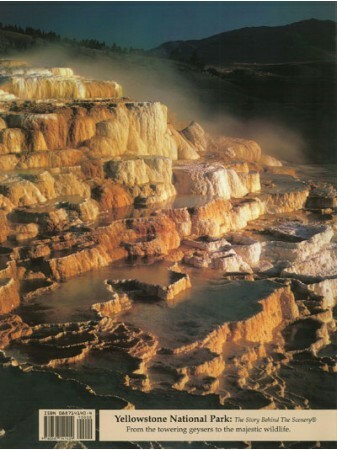 This Story Behind the Scenery reveals the interactions among geology, man, flora and fauna that inspired this most magnificent gift to our children and their children. 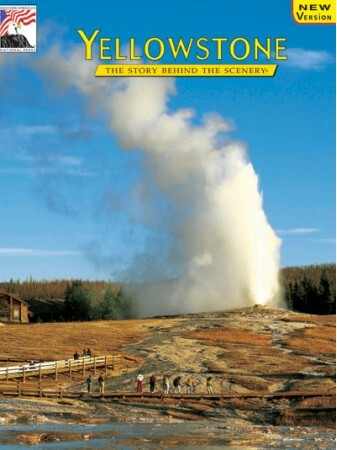 9x12, Paperback 48 pages, 68 color photos & 3 maps/diagrams.